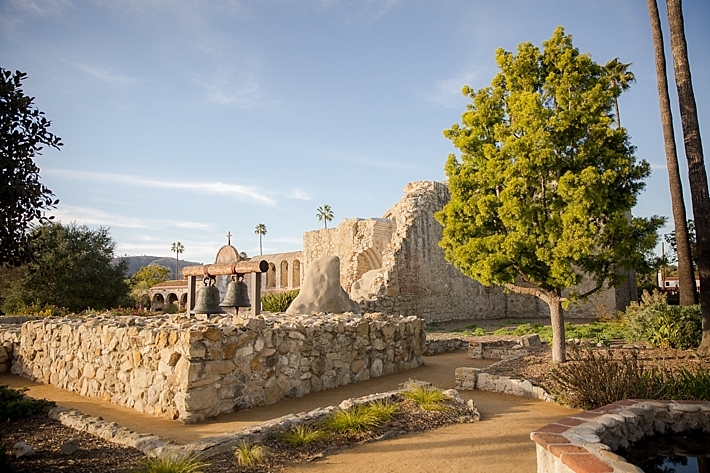 San Juan Capistrano is such a quaint town and the architecture is simply breathtaking! 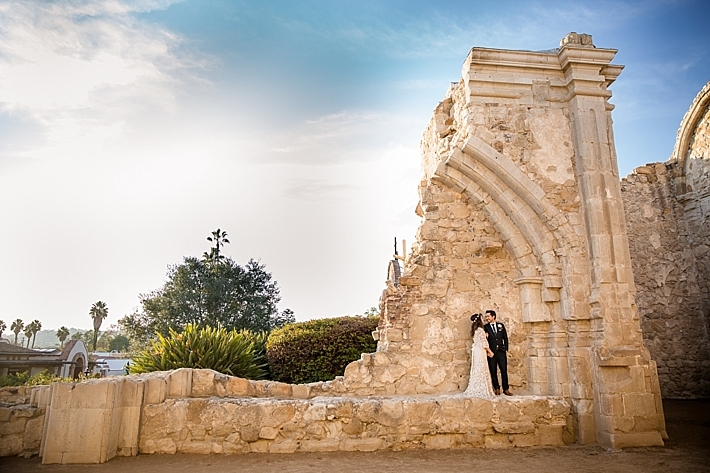 It creates a gorgeous backdrop for anyone wanting to take their engagement photos in Orange County. 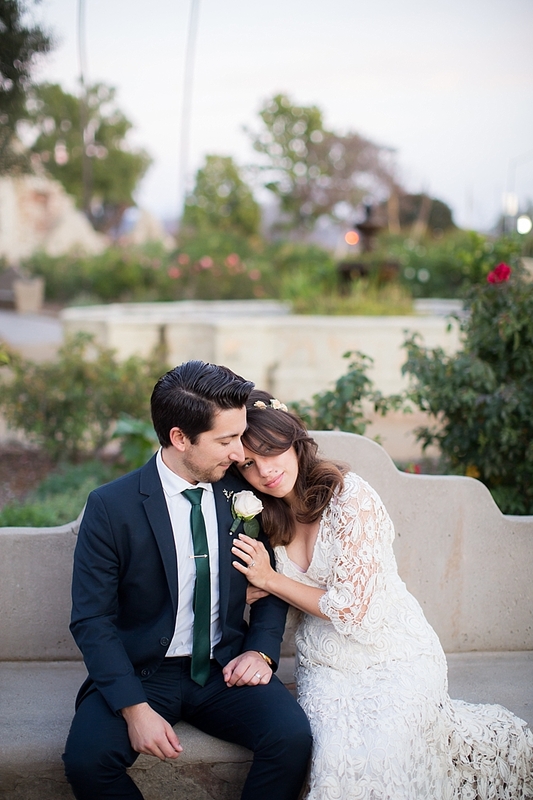 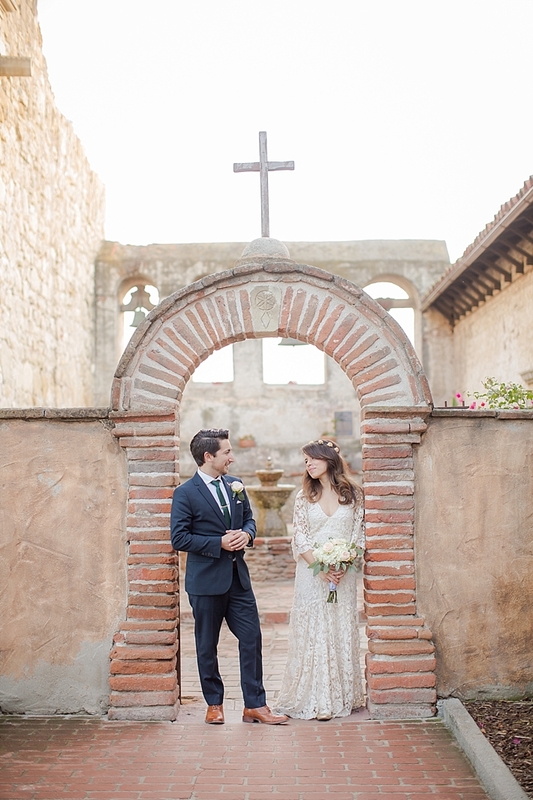 I wish I can just live in these photos that Southern California Bride Member, Theresa Bridget Photography took: "We met up with the adorable Phil and Alyssa to celebrate their newlywed love with some additional images! 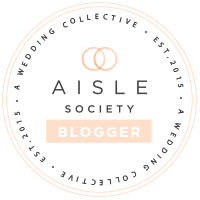 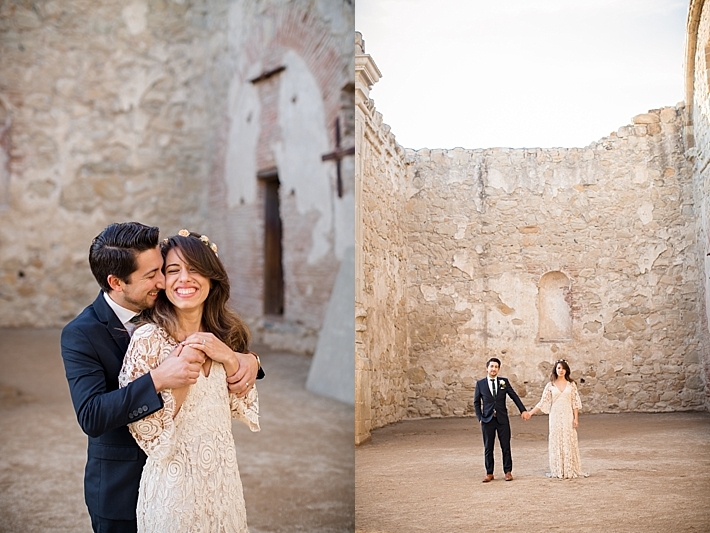 We unfortunately did not photograph their stunning nuptials, but wanting to get a different look than their boho wedding, they decided to have a love shoot. 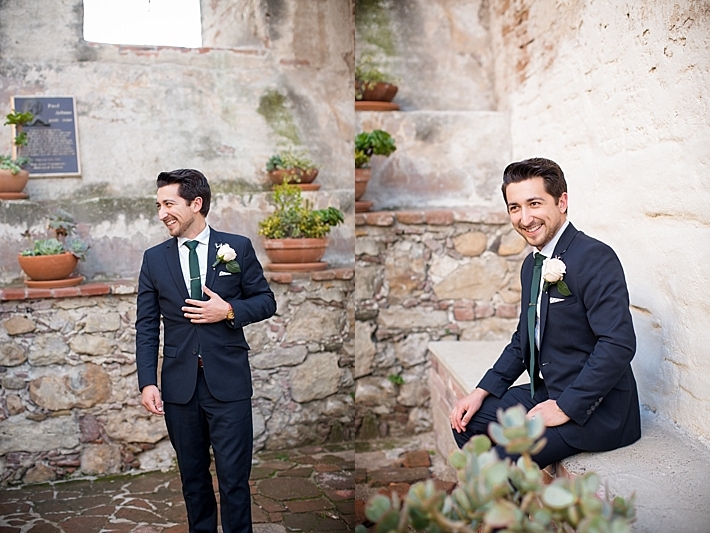 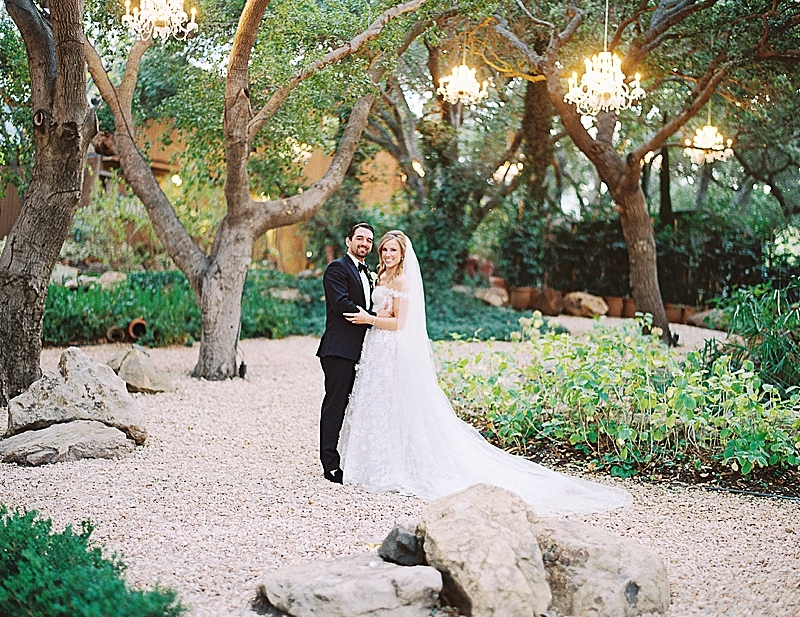 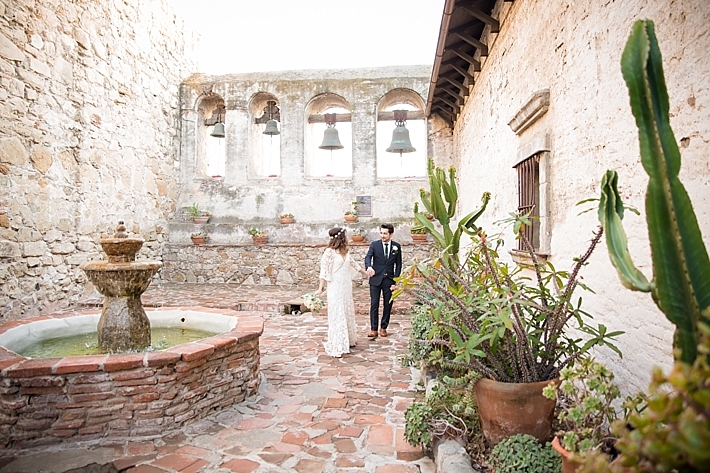 We went with a romantic setting and the mission set the perfect tone for a blend of old romance and new love. 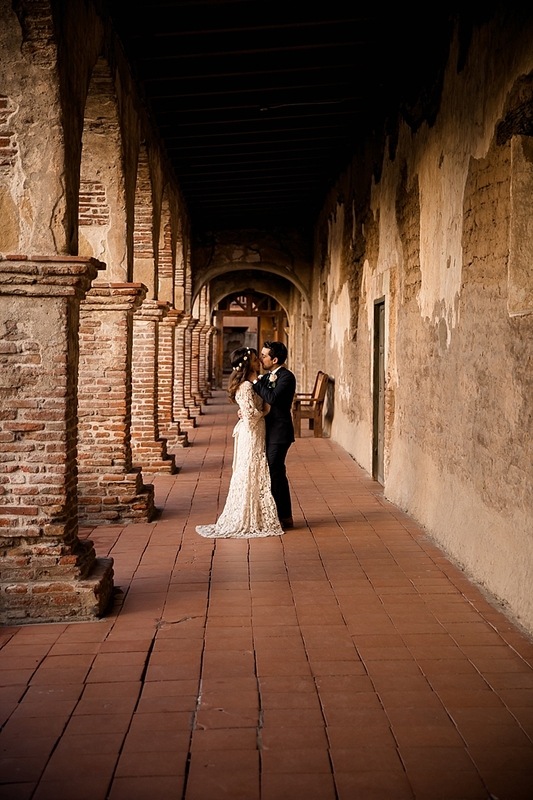 After sessions are a great way to get additional images and relive the love of your wedding day without the stress of a schedule! 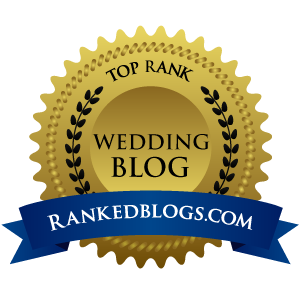 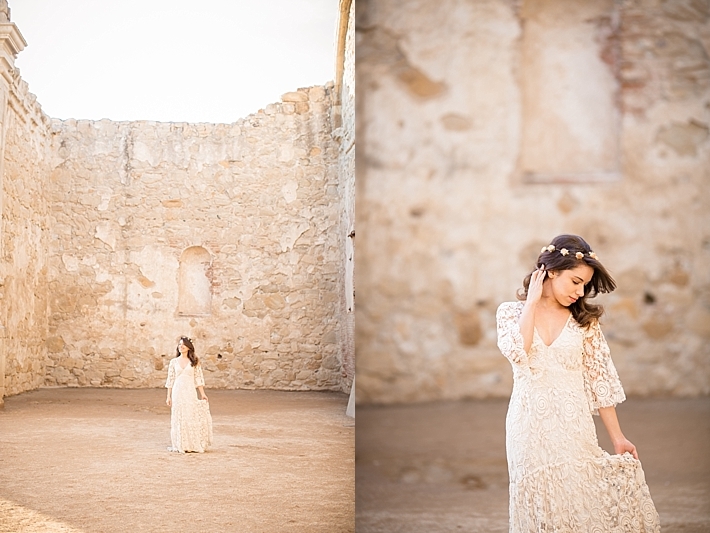 It is also a great way to get a variety of looks that time doesn't allow for on your actual wedding and who wouldn't want to wear their dress one last time! 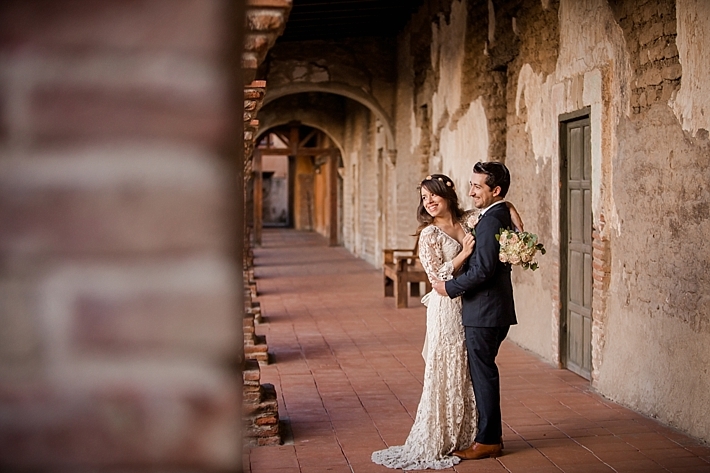 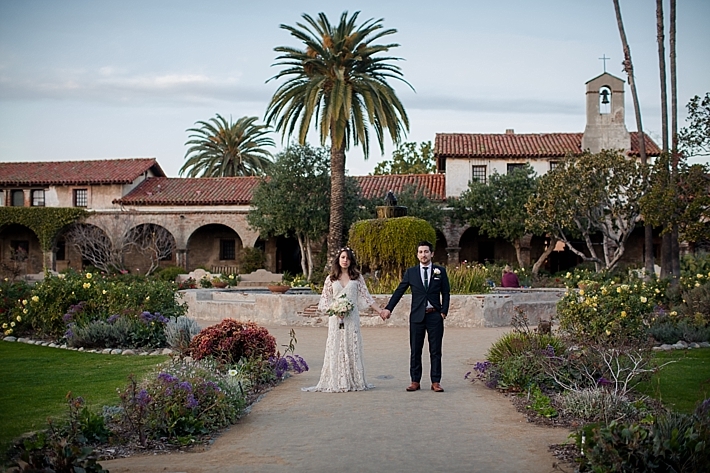 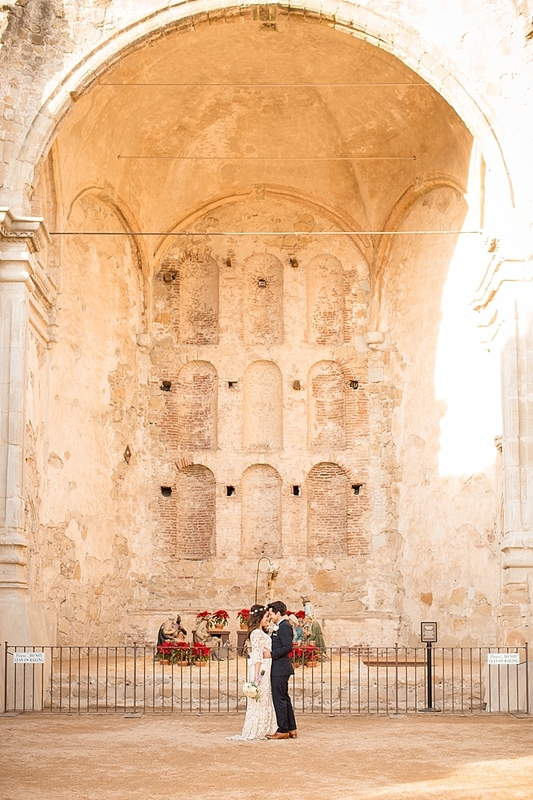 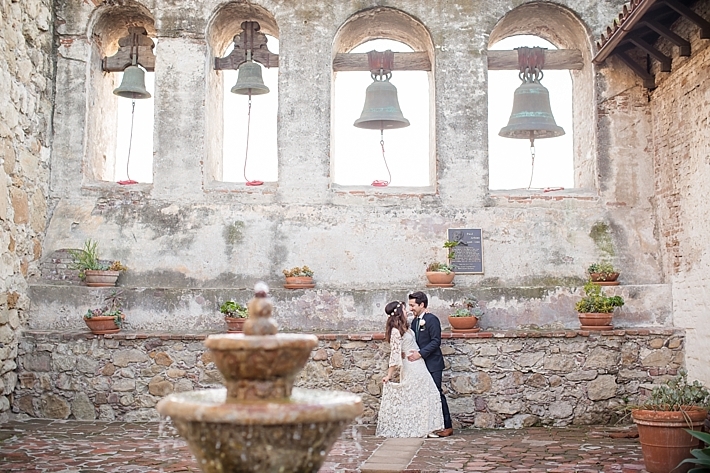 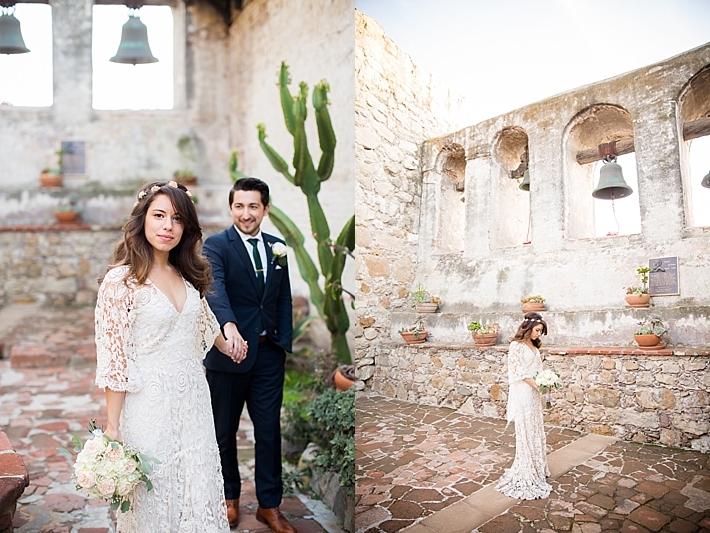 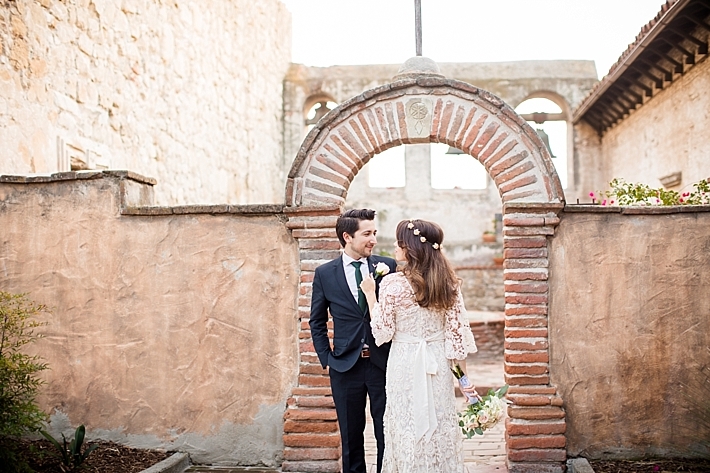 Wanting to go with a romantic and elegant vibe to play off the relaxed feel of Alyssa's dress, the couple picked the Mission San Juan Capistrano as a back drop and it could not have been more perfect! 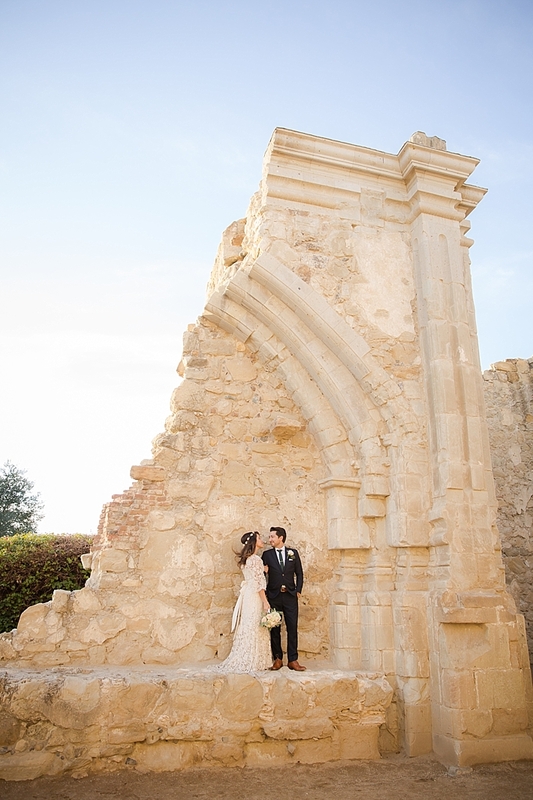 Phil and Alyssa spoke fondly of their wedding while recreating some of their favorite poses and we spent the afternoon talking about honeymoons, planning and their next big move."